Built on a strong foundation of masculinity underscored by a magnetic vibration, Gentlemen Only Intense distils its sensual, addictive little melody through a spicy note combined with a resolutely seductive ambery trail. 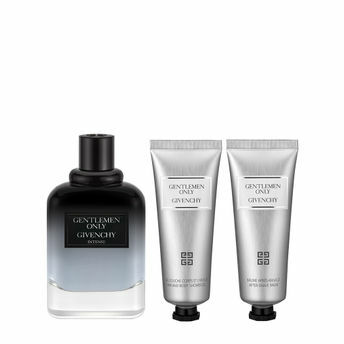 Bold yet subtle, Gentlemen Only Intense is the fragrance of unabashed charm and masculinity. It offers a captivating trail to the man who wears it, assuredly conveying serene seduction bordering on insolence. Fragrance Notes: This caressing, woody fragrance fascinates with its leather and hide accords. Explore the entire range of Perfumes (EDT & EDP) available on Nykaa. Shop more Givenchy products here.You can browse through the complete world of Givenchy Perfumes (EDT & EDP) .